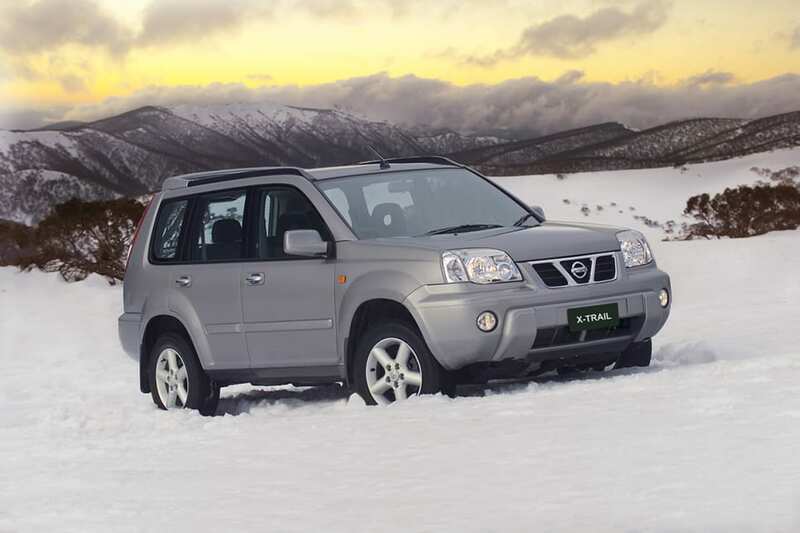 The five-seat T30 wagon was the first X-Trail to hit the market; it arrived in 2001. The SUV (Sports Utility Vehicle) phenomenon began in the 1970s with intoxicating images of peaceful places far away from the hustle and bustle of the everyday city life, tempting city dwellers to explore their vast homeland. Nowadays, they’re just as likely to be seen outside supermarkets or schools as they are on a bush track as town folk with little or no desire to leave the black top have adopted them as their favoured day-to-day family transport. With such popularity most carmakers, Nissan included, have sought to provide a choice of models to satisfy the needs of a wide variety of buyers. Nissan has long been a player in the four-wheel drive (4WD) market with its heavyweight Patrol and was quick to get aboard the SUV express when it arrived in town. 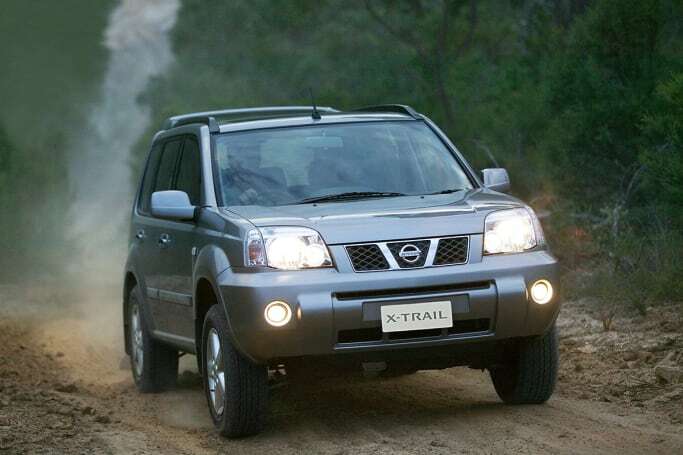 The X-Trail was a compact SUV designed to appeal to those looking for a vehicle that blended bush with the ’burbs. There were four models in the range, including the ST, the ST-R, the Ti, and the range-topping Ti-L. Entry to the T30 range was through the ST, which despite its position at the bottom of the range was quite well equipped. 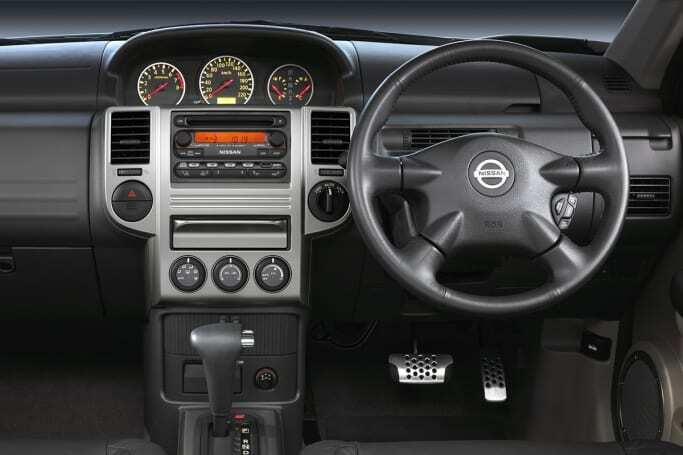 Standard features included air-conditioning, CD player, remote central locking, intermittent wipers, power widows and mirrors, remote releases for the boot and fuel filler, roof rails and a tachometer. The ST-R also had 16-inch alloy wheels, front fog lights, sporty trim, and a rear spoiler. The ST-R had 16-inch alloy wheels, front fog lights, sporty trim, and a rear spoiler. Next was the Ti, which was equipped with 16-inch alloy wheels, six-speaker sound system, climate control air-conditioning, in-dash CD stacker, cruise control, fog lamps, leather trimmed steering wheel, gear knob and hand brake grip, a rear spoiler and a chrome grille. At the top of the range was the Ti-L, for Luxury; it was the best equipped of all with a long list of standard features. On top of those of the Ti, the Ti-L had leather-trimmed seats, a sunroof and variable intermittent wipers. The Ti-L was the luxury model with leather-trimmed seats, a sunroof and variable intermittent wipers. A 2.5-litre four-cylinder petrol engine powered all models, which also boasted on-demand 4WD and the choice of manual gearbox or automatic transmission. The Series II update arrived late in 2003 with a revised model line-up and more standard equipment. A redesigned grille and bumpers were the visual clues to its identity. It saw the ST get cruise, a front swaybar, a glove box cooler, leather steering wheel, and lap sash seat belts in all five seats. The Ti got sports pedals, a rear wiper/washer, and lap sash seats belts. At the same time powered front seats and wireless headphones for rear seat passengers were added to the Ti-L. In addition to the ST, Ti, and Ti-L, Nissan added the ST-X in 2004 and the ST-S in 2006. ST-S, introduced in 2006 was based on the ST. Both were based on the ST, but had 16-inch alloy wheels, and a power sunroof; the ST-X also had a rear cargo blind. Sadly, anyone looking for features such as Bluetooth to allow them to use their iPhone or Android device will be disappointed, it wasn’t fitted to the T30. You won’t find a touch screen or sat-nav either, or for that matter parking aids like a reversing camera, parking sensors, or a park assist system. Inside, there were comfortable seats and roomy accommodation for five, although the centre rear passenger had to make do with a lap seat belt until the Series II update in 2003 when lap sash seat belts became standard in all five seats.. The dash was quirky with the dials located in a centre cluster, and there was a second glove box located ahead of the driver. Other controls were housed in the centre console along with a couple of cupholders and other switches, including the drive mode control. The boot was large, and with the split-fold rear seat folded it was even larger and more flexible. 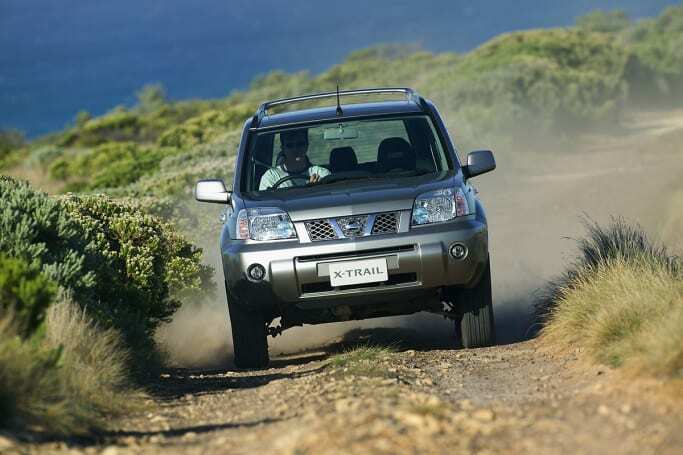 The X-Trail’s double overhead camshaft, VVT-equipped four-cylinder 2.5-litre petrol engine was on the money when it came to output, which ensured it had plenty of performance available under the right foot when desired. At its twin performance peaks the double overhead camshaft engine delivered 132kW (177 horsepower) at 6000rpm along with 245Nm at 4000rpm, which was enough to have it sprinting from 0-100 km/h in around 10 seconds. Buyers had the choice of a five-speed manual gearbox or four-speed automatic transmission, the latter being the choice of most town folk. Manual gearboxes are normally preferred for control when driving off-road, but even in auto form there was good control of the gears. Most carmakers give their SUVs the look of an off-roader, but it’s what’s underneath that separates them from the real bush bashers. Most are able to cope with light off-road driving, a muddy track or sandy beach, but few are equipped to handle the really rough stuff. But with its 'Smart Drive' selection system the X-Trail was more capable than most and could handle quite challenging terrain. A dial on the dash allowed the driver to select the optimum drive for the conditions. Select ‘2WD’ and all the drive was directed to the front wheels for regular driving when the rear wheels were just there to keep the back bumper off the bitumen. The X-Trail could handle quite challenging terrain. When the road was wet and slippery there was the ‘Auto’ setting, which engaged the centre viscous coupling and drive was electronically distributed to the front and rear wheels as needed. For more tricky going the drive could be locked, which set the torque split at 53 per cent to the front and the rest to the rear. It was effective up to 30 km/h. It was a pretty good compromise that delivered decent smooth-road manners and reasonable capability off the road. Road noise wasn’t one of the X-Trail’s better points, and is something owners have to get used to. Its active safety features consisted of ABS brakes and EBD (Electronic Brakeforce Distribution). The 2003 Series II update saw the introduction of lap sash seat belts for all five seats, and seatbelt pretensioners for the front seats. Lap sash seat belts facilitated the fitment of a baby car seat, but there were no ISOFIX mounts. As with all SUVs a check underneath is mandatory. Any time an SUV is driven off-road it’s susceptible to damage from sandblasting or flying rocks, so check for damage to the underbody, suspension, drive shafts, exhaust system etc. If you find no damage it’s a good bet it hasn’t gone off the black top. Few SUVs actually do, most are driven around town or out on the open road. A cam timing chain is used on the X-Trail’s engine, so there’s no call to replace it as there is with a timing belt. 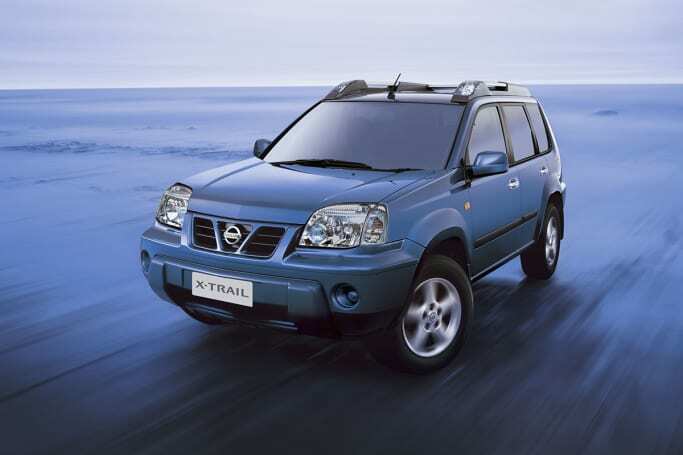 The X-Trail is generally robust and reliable if serviced according to Nissan’s recommendations, which was that it be serviced every 10,000km or six months, so check for a service record to make sure it has actually seen the inside of a workshop. Servicing is even more crucial if a vehicle is used off-road, even if it appears undamaged from the experience. The T30 X-Trail has been the subject of a number of recalls, the most significant being the one for the faulty Takata airbag inflator. The T30 came before the advent of capped price servicing, but the servicing costs are quite reasonable and any competent mechanic can do it. When new it had a warranty for three years/100,000km; it also had roadside assistance for four years. Be aware that this is a potential killer and shouldn’t be ignored. There was one in 2006 for a fuel filler tube that could rust and leak fuel, others in 2005 were for a catalytic convertor honeycomb that could break, and a damaged O2 sensor boss, and another in 2003 was for possible problems with the soldering of the crank sensor joint on the circuit board that could falsely trigger an engine warning light. MORE: If anything crops up, you’ll probably find it on our Nissan X-Trail problems. 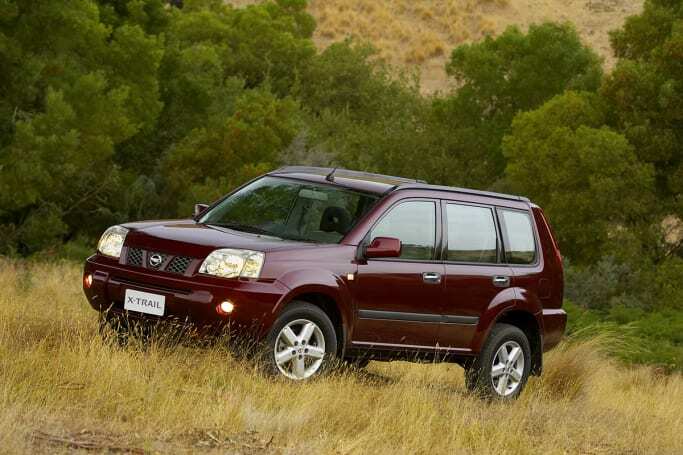 Keith McKenzie: I bought my 2006 X-Trail ST-S second hand. It’s an excellent car for its age; it runs smoothly and is the perfect size for my family with lots of room in the back. Sam Fry: We bought our Ti way back in 2004. It’s now done 160,000 km and still drives like new. The cabin is practical and durable – it has survived our three kids – and the only mechanical issue has been a faulty engine sensor a few months ago. Robert Watson: My 2005 Ti-L will not die. After 300,000 km, often towing, it is still running fine. Its reliability is stunning, the ride is comfortable, the interior is of good quality, and it’s surprisingly competent off-road. 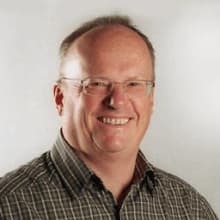 Peter Hibbert: We bought our T30 X-Trail second hand five years ago. It had 80,000km then, but has now done 140,000km and hasn’t missed a beat. It’s a fantastic family car, nimble around town with good all-around vision, and it’s good on the highway, too.